When Isebrook is next notified by Ofsted that an inspection will take place, parents/carers and students will find key information and links to questionnaires on this page. As Parents and Carers, you can give your views of Isebrook at any time of the school year and at any time of a school inspection using an online questionnaire called ParentView. 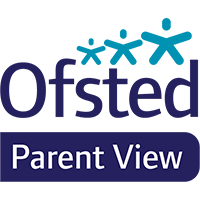 When Isebrook is notified of its next Ofsted inspection, parents will be invited to give their views about Isebrook to inspectors using the ParentView online facility as this has replaced Ofsted's paper questionnaire. However, to help those of you who don't have access to the Internet or who prefer paper copies, please contact the Isebrook Main Office to request a copy. Your views are not only important in helping inspectors make a decision about Isebrook during inspection, but they also help us to know what is going well and what could be improved. If you would like help to use ParentView please contact us.